Every year the holiday season sneaks up on me so this year I am determined to get a few projects done early. 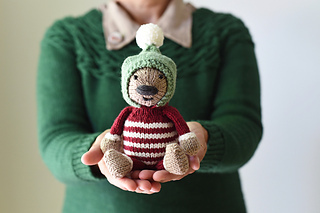 The first holiday-themed project is today’s new kit and pattern modifications called Merry Bear! This little fella may look a little familiar and that’s because Merry Bear is a modification of the A Bear in a Bunny Suit pattern. 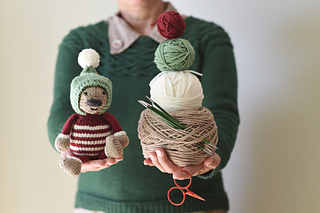 Merry Bear uses the A Bear in a Bunny Suit pattern with some simple modifications. 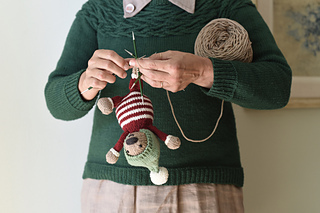 These modifications are included in the new Merry Bear Kit as a printed sheet, and I have posted them for FREE on the Barrett Wool Co. Journal. If you already own the pattern you are all set. 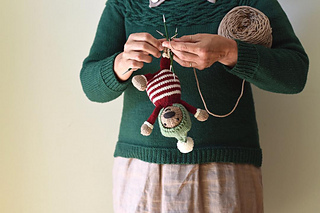 Click here for the Merry Bear modifications on the BWC Journal! Click here for the original A Bear in a Bunny Suit Pattern.